Conveniently located on Bering at Woodway, across from Tanglewood Park, the Woodway Place II offers exceptional views of the Galleria, Downtown or Memorial Park and the Bayou. 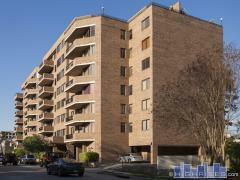 Residents enjoy tennis courts, inviting swimming pool, and party room with full size kitchen. Have any comments or questions about Woodway Place II? Ask your question and/or share your thoughts about this Building. John and I are safe visiting family in CA. Wondering how things are at 651 Bering.